Medical specialists bound for Ovalau, Koro and Gau will be carrying out terminal di­agnosis for patients and providing solutions for better quality of life with appropriate treatment plans. The medical camp, a first of its kind will be travelling on board one of the Lomaiviti Princess ves­sels later this month to carry out free medical services. 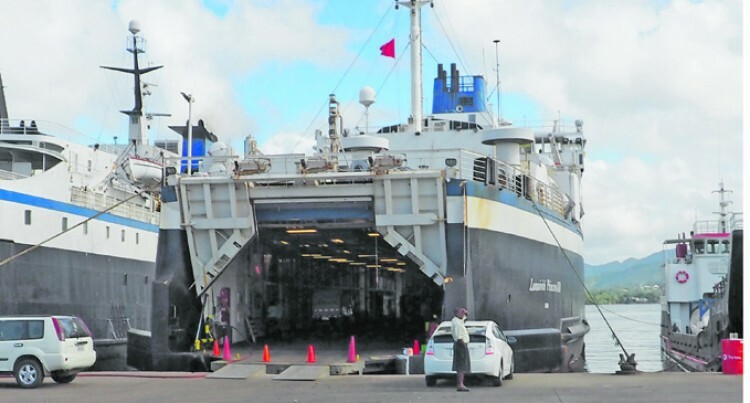 Goundar Shipping Limited has a fleet of five Lomaiviti Princess ves­sels. “One of the objectives of these medical camps is to diagnose dis­eases like cancer and other chronic diseases early so that a person’s life does not become terminal but rather their life span is prolonged by early detection of cancers,” 95-member contingent leader Dr Dinesh Lal said. Consultant gastroenterologist at Auckland’s Middlemore Hospital , Dr Lal said the early detection of the terminal ailments would pro­vide a better option for a cure or the disease could be halted before becoming terminal. The team under the Sathya Sai International organisations of New Zealand and Fiji is working in conjunction with the Ministry of Health to hold free Sai medicare camps opening in Vaturu District School in Sabeto, Nadi on Sunday, May 20. The contingent bound for Lo­maiviti is registering patients from 8am to 4pm in Ovalau for May 22-23, serving at Delana Primary School in Levuka on Tuesday, May 22 and Bureta Health Centre in Bu­reta Village on Wednesday, May 23. The volunteers made up of over­seas and local medical staff will then serve the people of Koro Is­land at Nabasovi District School. They will proceed to Gau on May 24 before rounding up their mission at Na­vukailagi District School on Friday, May 25. “In a situation where a patient has a terminal illness they are likely to be already suffering prior to the diagno­sis,” Dr Lal said. The team has 90 per cent of the volunteers from New Zealand, a few from Australia while Lau­toka based doctors Professor Ra­jat Gyaneshwar and Dr Swaran Naidu; including Nadi’s Dr Saras Nandan are paying their own way to be available for the mission. “Every person pays for their own airfare and accommodation. We sometimes contribute for food our­selves and sometimes kind people donate and feed us at the camp sites,” Dr Lal said. He said the volunteers saw the mission as a privilege to share their expertise and a way to share their love. “Firstly I would like to say that we are fortunate to be able to be of some help to our brothers and sisters from the three islands who may need some healthcare input- no doubt there are quite a few spe­cialists from different health speci­alities in our team which would be a bonus,” he said. The medical mission started in 2006 and teams have traversed re­mote areas of Viti Levu and Vanua Levu where the target was patients in remote areas with poor access to medical care. “We commenced these large mis­sions about 12 years ago in 2006, for first seven years we have been serving the remote areas of Vanua Levu in Tukavesi, Savusavu, Na­bouwalu etc. where travelling has been five hours each way and for the last five years in remote areas of Viti Levu (like Nadarivatu, Kei­yasi etc. ),” Dr Lal said. “We have no expectation from these missions but aim to serve in remote areas where there is poor access to health care services.